Nurse Jackie: What's Up with Tunie? Nurse Jackie: What’s Up with Tunie? 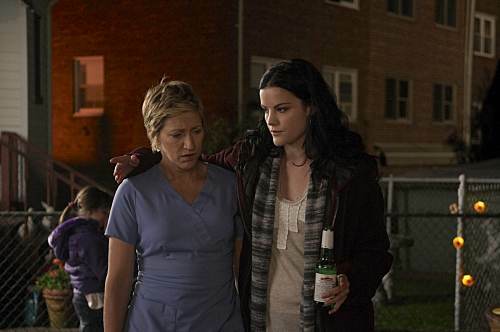 Jackie Peyton seemingly had avoided the collateral damage that could have resulted from last season’s forced intervention by Kevin and Dr. O’Hara. 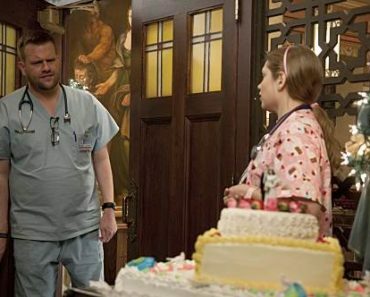 Though she had a fight with her husband over responsibility and her best friend is too exasperated to speak with her, she still has her job, her kids, and her relationship with co-worker Eddie, so all is not lost in the world of Nurse Jackie. Which is why the presence of Kev’s sister Tunie, previously unseen and unmentioned, is so intriguing. Jackie may be a master manipulator who knows how to read people and turn an argument around on someone with a legitimate reason to be mad at her, but she’s got her control over people in her everyday life down to a science; Tunie isn’t under Jackie’s spell and now that she’s been set up on a date with Eddie, Jackie’s world is about to become a little more rocky. Tunie’s an unknown variable that could break season three wide open (in the best way), but what will be the fallout of her actions? The one I’m most looking forward to is that she could occupy Eddie long enough to really rattle Jackie and send her back to the ‘therapist’she met that specializes in bringing addicts to rock bottom. I could see Jackie being so distraught at the thought of losing something she thought she had so much control over that she wants her physicality to match her current emotional state and she decides to hit rock bottom. Amping up Jackie’s drug issues wouldn’t be the worst thing in the world; it’d put both of Jackie’s lives (as nurse/Eddie’s lover and mom/Kevin’s wife) seriously on edge and will hopefully set her up to have to pay the piper after two+ years of avoiding paying for her actions. Plus, what if Tunie’s thing with Eddie makes Jackie visibly jealous and Kev starts noticing? He knows about Jackie’s drug use, but he’s still clueless as ever about their affair and having him find out would be an awesome watch. On the other hand, Tunie’s presence could have a different effect on the show’s chemistry. If she and Eddie don’t hit it off, it could make Eddie and Jackie grow closer in the process, distancing Jackie from Kevin even more. At least right now, I don’t think Tunie is a plant from Kevin to keep an eye on Jackie (even post-intervention, he doesn’t seem that suspicious of her), but if, say, she happens to walk in and see a romantic ‘moment’between Eddie and Jackie, I could see her telling Kev and then skipping town. Tunie may seem like plot device, but if she’s utilized correctly, she can take the show to places it hasn’t been before. Man, do I love a lady who can work the word ‘buttknuckle’into a conversation with the ease that Tooney did in her debut episode. I think any way the show can work in another obstacle for Jackie should be utilized, mostly because I like seeing Edie Falco’s mind working to figure out how to get herself out of a jam scot free, so I’m very much down for seeing Tooney (inadvertently) stir things up. Nurse Jackie airs tonight on Showtime at 10:00. Nurse Jackie: Will Jackie Break? 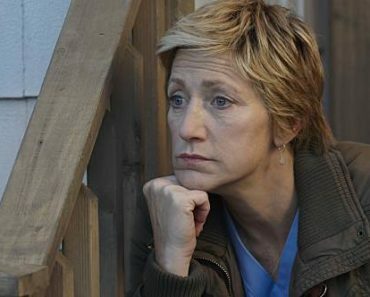 Nurse Jackie: Will Jackie Finally Face Consequences?